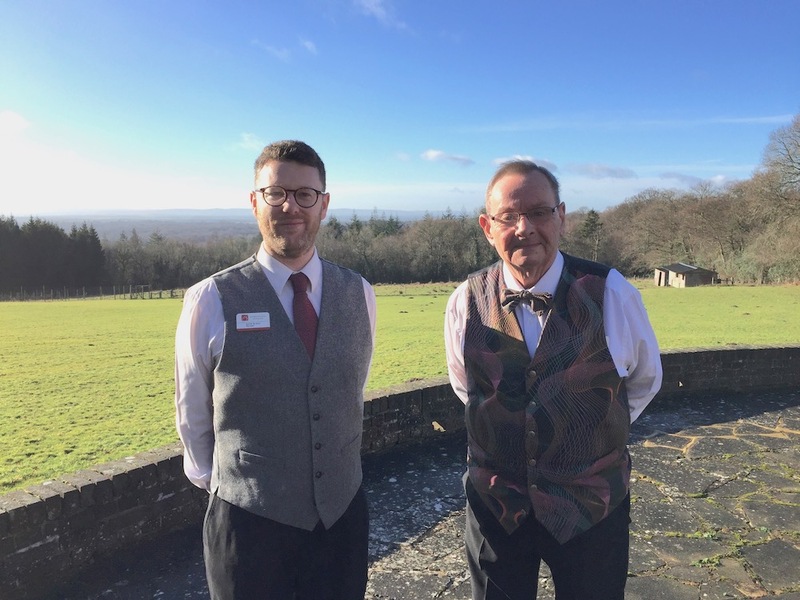 Barnsgate Manor manager Darren Butcher and owner Keith Johnson with their backs to the fabulous view that keeps people returning to the restaurant. Combine that attraction with the quality of food and attention to service offered at Barnsgate and you have a winning formula, says manager Darren Butcher who has been there for 17 years. He says the changing view is amazing, not just the seasonal shifts of spring, summer, autumn and winter, but also the difference in weather. “Even a mist makes you see something different, there’s a Lord of the Rings-esque feel about it,” said Darren. The private owner of Barnsgate, Keith Johnson, took over the venue 30 years ago and lives on the premises. He used to work in professional photographics, once even fitting a darkroom in Buckingham Palace for Prince Andrew. Barnsgate Manor was a retirement venture for him and he previously owned the llama park at Wych Cross, which was sold some years ago. For many years a vineyard was operated alongside hospitality at Barnsgate but Keith gave up wine-making about seven years ago, as legislation changed and costs rose. “You never know it might be started again one day,” said Darren, who added that in the meantime another use could be found for the land where the vines grow. For now Barnsgate concentrates on its aim of providing a multi functioning venue, not only for people who would like to enjoy afternoon tea, or a delicious meal, in glorious surroundings, but for those searching for the ideal place to celebrate a special occasion. Their main function room can accommodate 200 people, there’s a downstairs disco, and there are smaller rooms for more intimate gatherings. Darren said: “We can be flexible because we are privately owned. If somebody comes to us with a limited and fixed budget we can guide them to what can be provided for that sum. Their Manor House Restaurant and Tea Room is open for morning coffee, lunches and cream teas, seven days a week, 10am till 5pm. 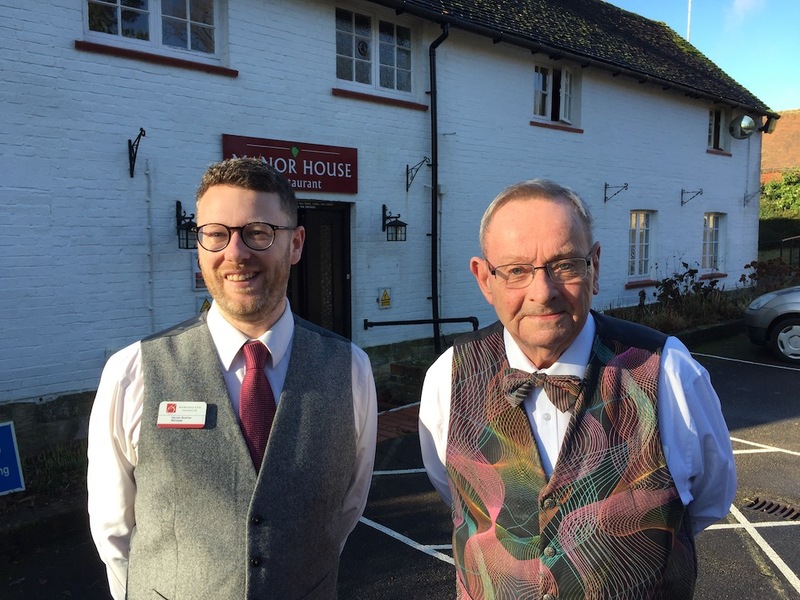 Barnsgate Manor manager Darren Butcher with owner Keith Johnson outside the restaurant entrance. To learn more about Barnsgate Manor visit their website at http://barnsgate.co.uk, call 01825 713366, or email info@barnsgate.co.uk. • Contact details for Barnsgate Manor are available 24/7 in our Uckfield Directory. Look for the name or search in categories for Restaurants, Tea Rooms, Events Venues, or Function Rooms.